Perfect Body Laser and Aesthetics® eclipses the competition by providing experience, clinical sophistication and competence in conjunction with a consistent reputation of excellence through RESULTS. These are accomplishments that can only be earned and not bought. Our seasoned staff of ANP’s, Aestheticians, Nurses and Directors have over 40+ years of combined aesthetic laser skin care experience. Perfect Body Laser and Aesthetics® in Bay Shore, NY offers its clients BOTH experienced care AND the newest and most effective technology, period. 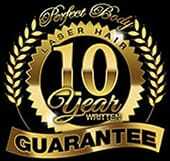 Perfect Body Laser & Aesthetics, home of No Needles, No Cutting and NO down-time®. When it comes to how you look and feel about yourself, no one does more than the caring and attentive staff at Perfect Body Laser. We offer the absolute latest in award winning FDA approved services, so that we can be confident our clients will receive only the best results available. Our variety of FDA approved non-invasive, non-surgical services will help you look and feel your best -- and it is much safer than traditional surgery. Perfect Body Laser is proud to have been chosen to receive the most prestigious and sought-after award recognitions in the cosmetic and aesthetic field!